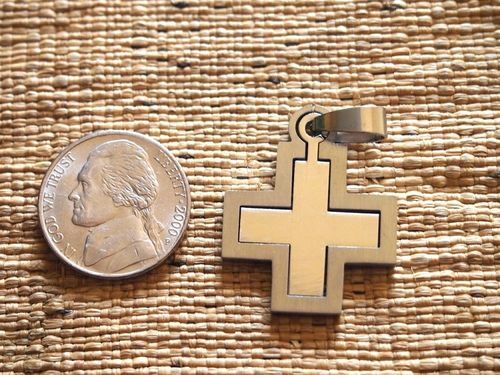 Adorable stainless steel cross is like two crosses in one. One smaller shiny stainless steel cross is nestled inside a larger one with a slightly brushed metal finish. 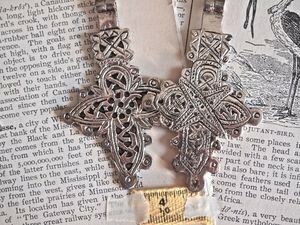 Keep them together for a stunning necklace or open the included bail to separate them into two separate cross pendants. Very versatile. With a hanging loop and bail. 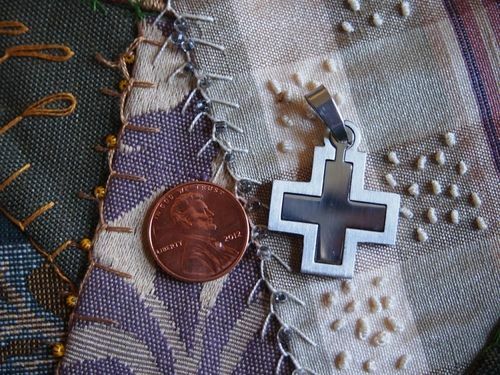 This cross measures 1-1/8 inches tall by 1 inch wide. Sold individually.